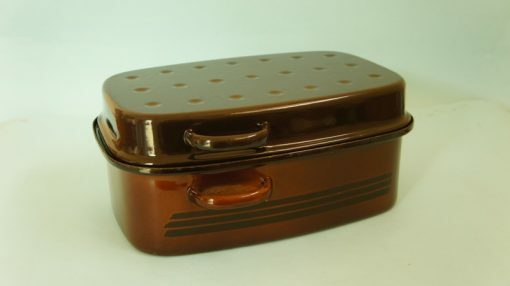 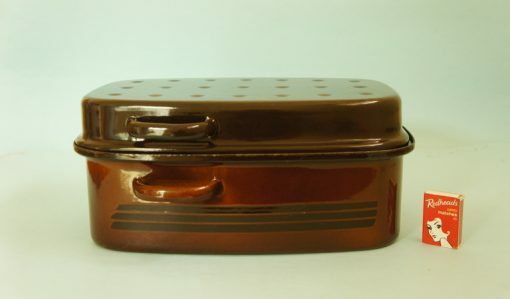 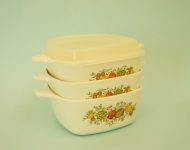 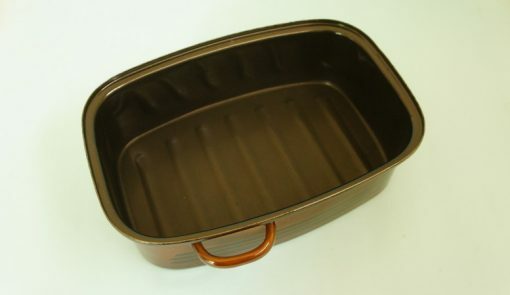 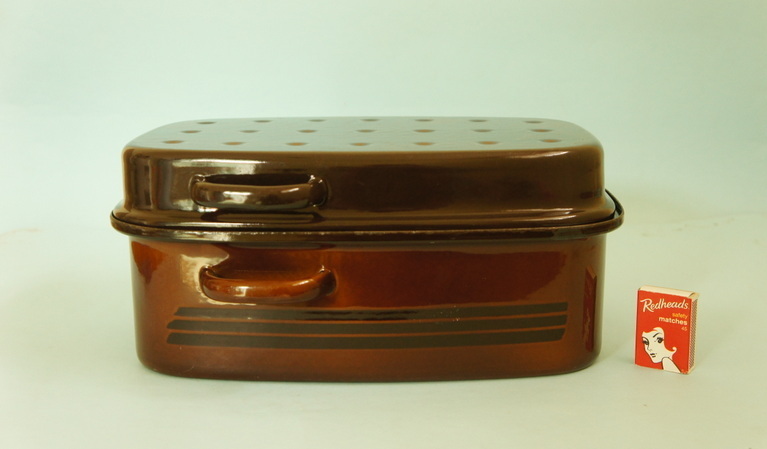 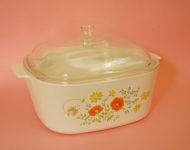 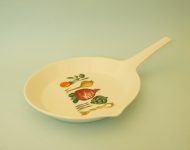 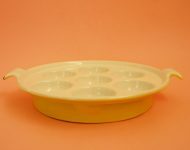 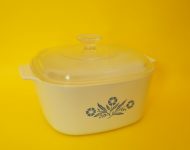 I wonder how many of you ’80 kids had this roasting dish when you were growing up? 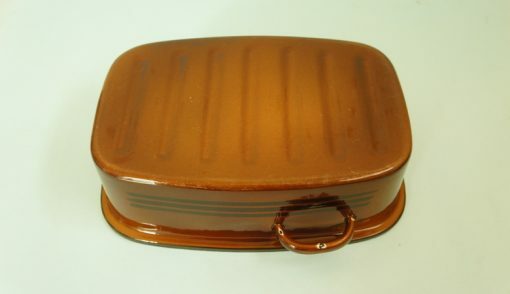 I swear we had the identical one! 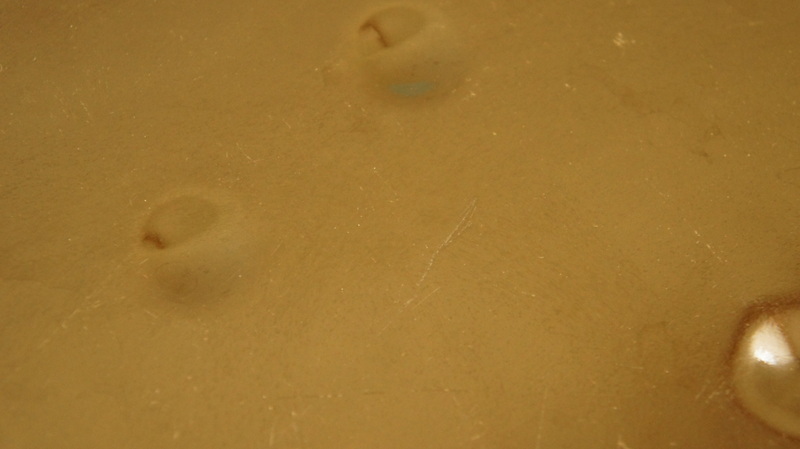 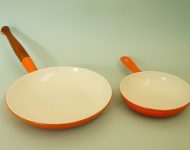 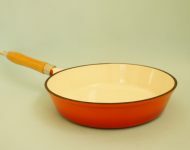 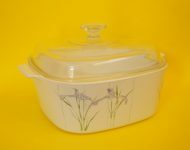 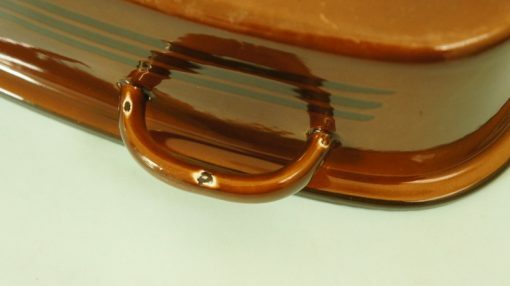 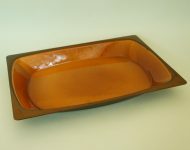 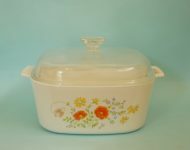 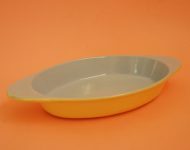 Although I think ours was probably a bit worse for wear – it must have been someone like me who owned this oven dish before, and only used it very occasionally, because it really is in pretty great nick for its age! 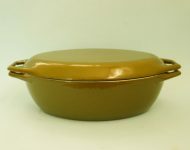 There are a few scratches on the lid and one or two chips in the enamel, but on the whole it’s pretty clean. A good quality roaster that should last you for many to come!